Jay Engel and Jocelyn Denham, a brother and sister team, will embark on an expedition to the top of Africa. Their trip will take them through an old growth forest, across the spectacular and remote Shira Ridge, and through the alpine desert zone as they climb towards Uhuru Point, the highest point on the continent. 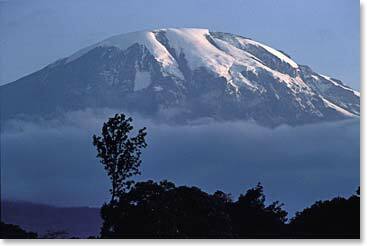 They will camp below the impressive northern ice fields and will spend a night sleeping in the Reusch Crater atop Mount Kibo, Kilimanjaro’s highest peak. Upon descent, Jay and Jocelyn will continue their trip with a safari highlighted by an overnight stay at Tanzania’s Ngorongoro Crater where they will have the opportunity to view Africa’s abundant wildlife in action.